DJI is pretty famous for its product range in aerial photography systems. Now, Mavic Air foldable drown is the new addition to its Mavic series lineup. DJI Mavic Air drone launched to fill the gap between the DJI Spark and DJI Mavic Pro. The company has announced that the product will be out from sale starting from January 28. DJI Mavic Air features comprise of both the higher and lower traits of the other products in the same series. 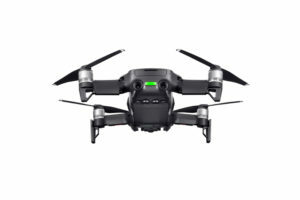 New Mavic Air foldable drone brings the Mavic Pro’s premium features like 4K video shooting and longer flight times in a compact size of DJI Spark. On the other hand, DJI Mavic Air cost also fits in between the two predecessors. While the top end Mavic Pro and the lower end DJI spark are priced at $999 and $399 respectively, Mavic Air is listed for a price of $799. Discussing the specs, the Mavic Air shoots 4K videos with its built-in camera which uses a 1/2.3-inch sensor. Besides that, the 24mm wide-angle f/2.8 lens helps to capture 12-megapixel images. Also, the camera mounted in it is also capable of capturing 32-megapixel panoramas. The three-axis gimbal design allocates the camera and gives a premium outlook to the device. On the other hand, the new design helps for better ventilation and keeps the device away from overheating. Moving further, the company quotes that the device maximum flight of about 21 minutes, which more than the Spark. Yet, the flight time is a bit less when compares to the Mavic Pro which flies around 27 minutes on a complete charge. However, the upgraded version, Mavic Pro Platinum offers the best with 30 minutes of flight time. Never the less, DJI Mavic Air flight time is decent considering its price and the range. The newly launched Mavic drone can reach up to 68.4 kilometres per hour speed and can stand against winds up to to 38 kilometres per hour. In addition to this, the device is equipped with obstacle-avoidance software called Advanced Pilot Assistance Systems (APAS). DJI’s latest drone comes with 8GB storage inbuilt and it can be further extended with the provided microSD slot. This allows users to directly save photos and videos in the device itself. USB 3.0 Type-C port connectivity is provided for exporting files from the drone. Interestingly, dedicated remote controller brings some unique features like QuickShots, SmartCapture and ActiveTrack. Buyers can choose the DJI Mavic Air among the three colour variants – Onyx Black, Arctic White, and Flame Red.